Schwartz & Wade, 9780307981820, 32pp. Pat Zietlow Miller received an Ezra Jack Keats New Writer Honor for Sophie's Squash, her picture-book debut, which was the recipient of four starred reviews, a Charlotte Zolotow Honor, and a Golden Kite Award. She is also the author of Wherever You Go. 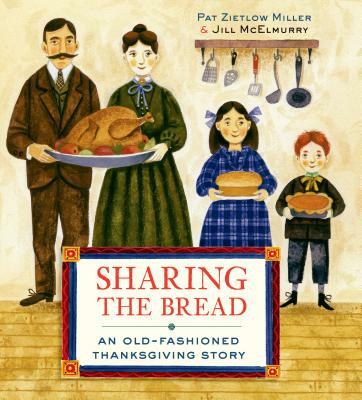 Thanksgiving is her favorite holiday, and every year her family works together to make a meal, almost as well as the family in this book. Pat lives in Madison, Wisconsin. Visit the author at patzietlowmiller.com. Jill McElmurry has illustrated many picture books for children, including the bestseller Little Blue Truck by Alice Schertle, The Tree Lady by H. Joseph Hopkins, and Mario Makes a Move, which she also wrote. When she was fifteen, her family was invited to Thanksgiving in a giant Queen Anne–style Victorian house. Every table was laden with gorgeous treats, and she ate so much she couldn’t stand up straight for two days. Jill lives in Albuquerque, New Mexico. Learn more at jillmcelmurry.com.